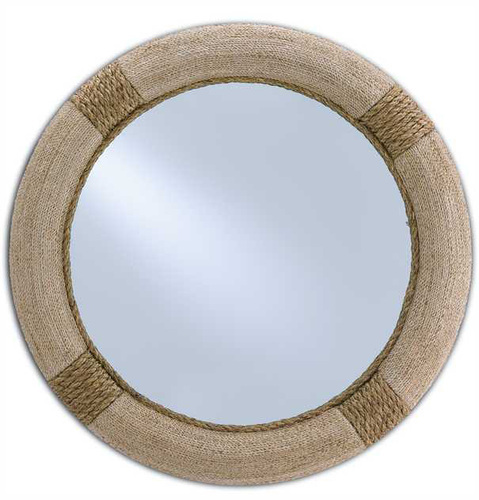 The Siba mirror is a distinguished nautical mirror what will have you dreaming of warmer climates. Artisans intermingle thin strips of abaca rope and thicker rope sections. The abaca rope is woven and wrapped around the wrought iron frame. The Siba mirror allows you to take that plunge by looking through the porthole window of a grand ship. Ships via furniture freight. Eligible for return or exchange with 15% restocking fee. Please view our return policy for more information.